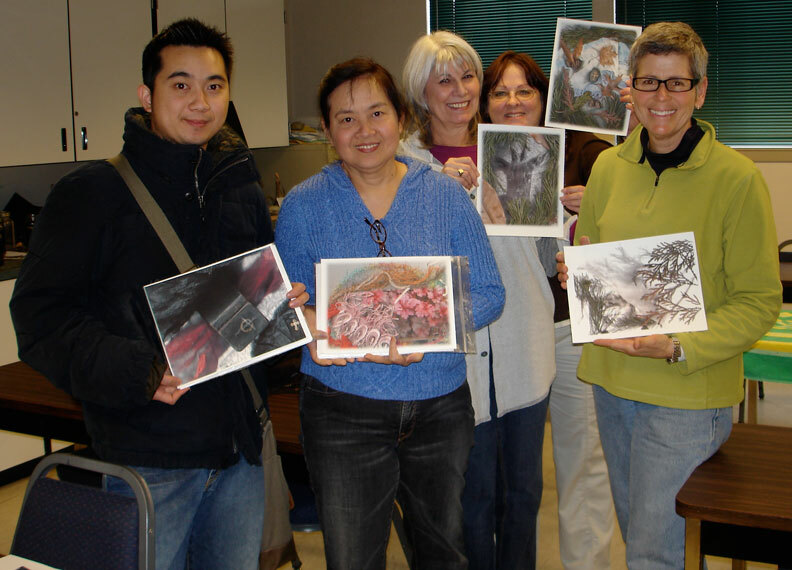 Learn how to combine inkjet printing with other art making processes while you create beautiful, one-of-a-kind textile creations to quilt, frame or use in some other creative way. Val will provide images and products (e.g. Tjaps, Brayers, Silkscreens, Stencils, Stamps, Paintstiks, Color Pencils) for class use that we will use to create one layer at a time. Have fun experimenting and learn how these easy and versatile processes can add to your creativity. Two art pieces will be created during class (one utilizing a previously printed fabric sheet, and a collage that will be created in class). 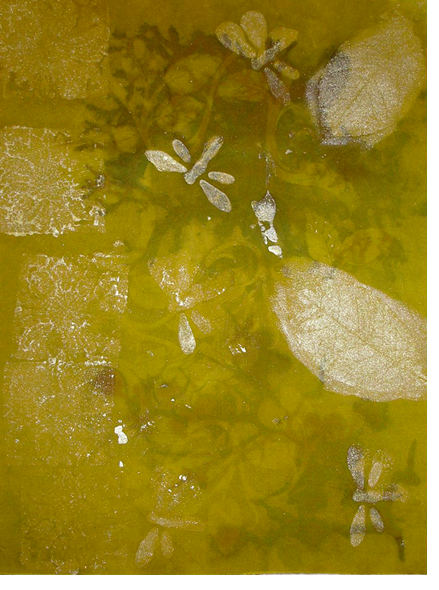 Digital fusion involves combining digital textile printing with new and more traditional surface design techniques. 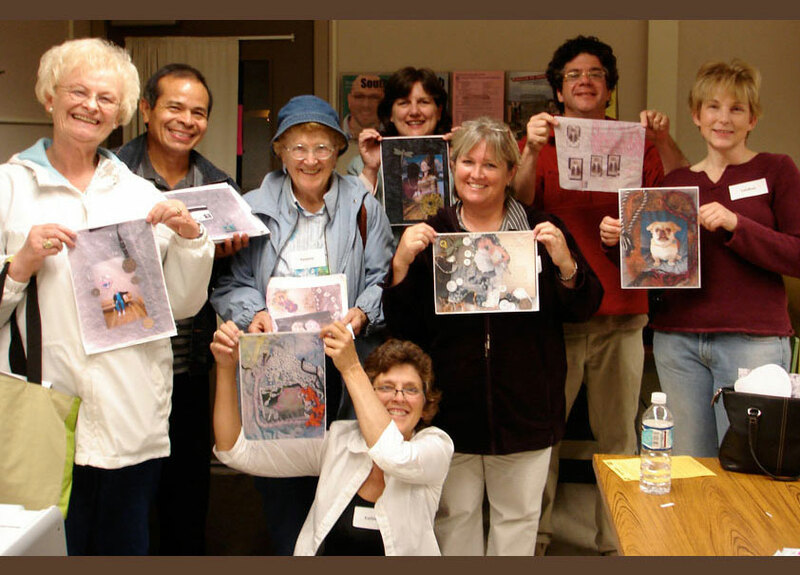 By combining modern and traditional techniques layer by layer, students will learn how fun and easy it is to create a very unique art piece that can be used in many ways. Students will see samples to inspire ideas on ways the unique finished art pieces can be displayed. 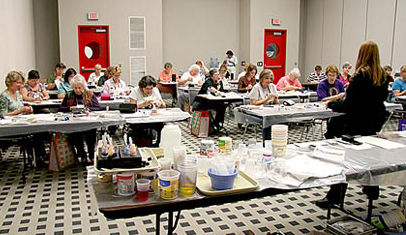 Class Evaluation Form Comments: What an excellent class, loved the hands-on experience. . . Best class I have taken, so many different methods, Great! . . Organized while allowing us to free range through the class. . . Very knowlegable instructor. . . Val was very generous with her ideas, supplies and equipment. . . This class opens so many possibilities. . . Great fun - enthusiastic teacher! - Learned a lot! 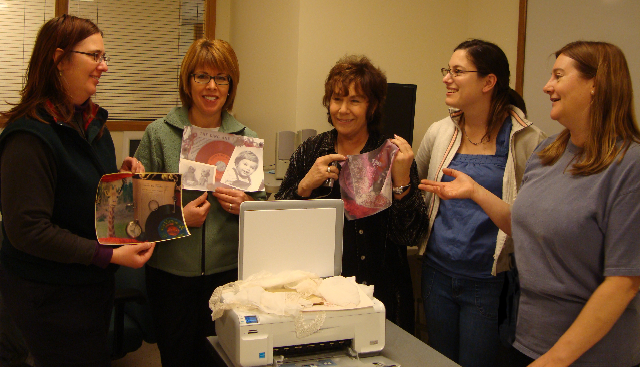 Learn how to print images on fabric for your creative projects. We'll talk about printers, scanners, digital cameras, software, inks and fabric sheets available today. 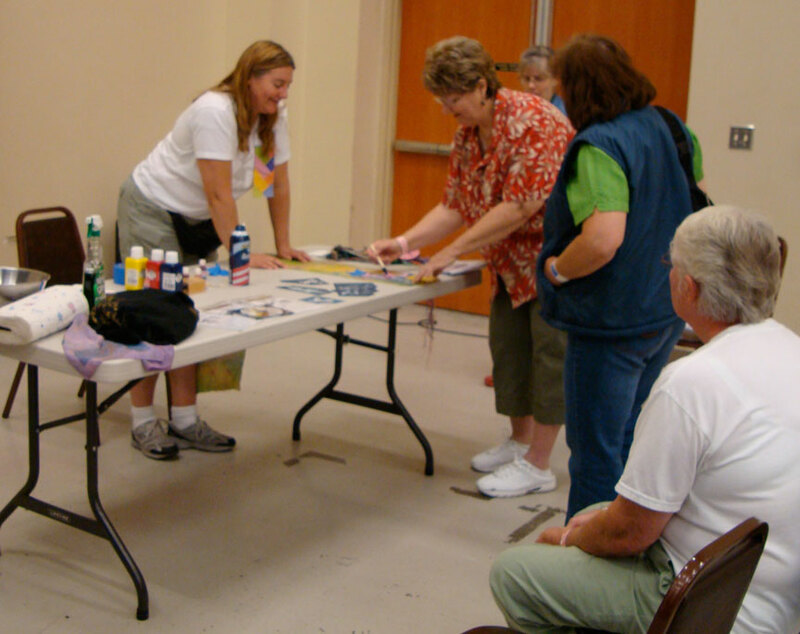 Class notes and information will be included in handouts so we can have a creative, hands-on workshop. Valerie's 3-hour class not only equipped me with everything I need to know to accomplish my own digital printing on fabric from start to finish, but she also went on to show how to combine digital fabric printing with other techniques like overdying and applying dyes. 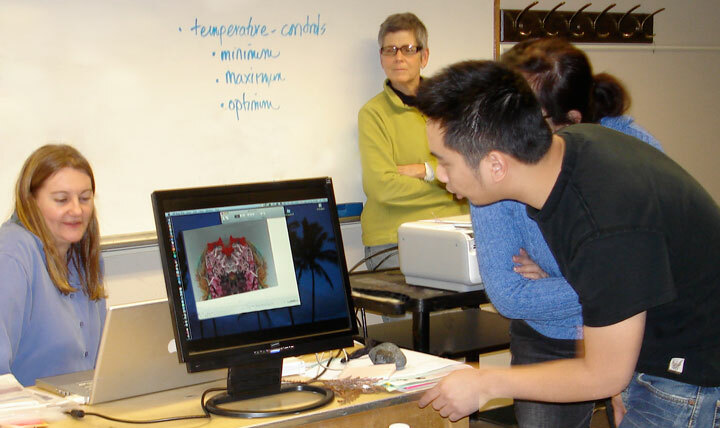 Her explanations and demonstrations of using various softwares and printers met the needs and questions of everyone in the class. 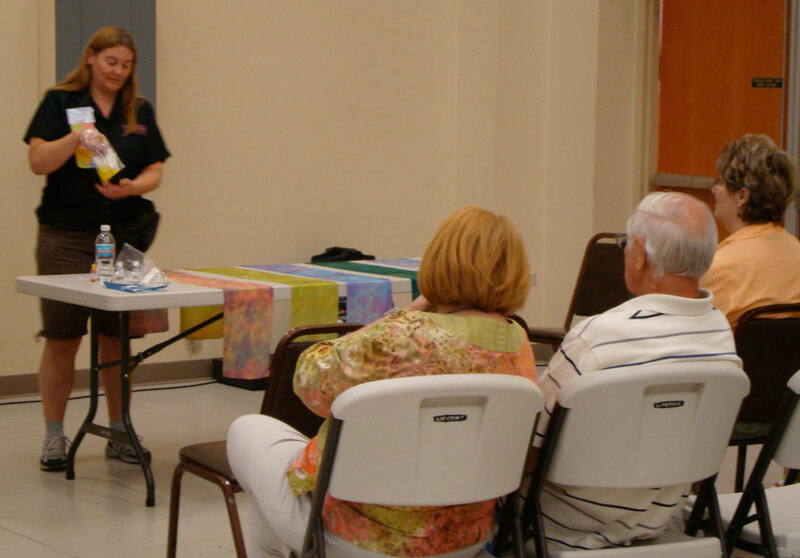 She demonstrated a wide variety of fabric and ink possibilities and educated us about the advantages and pitfalls of each. It was an amazing three hours! Learn more about ink/printers, scanners/copiers, digital cameras, software, fabric sheets, and pick up some money saving tips about digital printing equipment. Discover how the quality of digital printing is being raised to a fine art form and experience exciting new uses for images on fabrics. 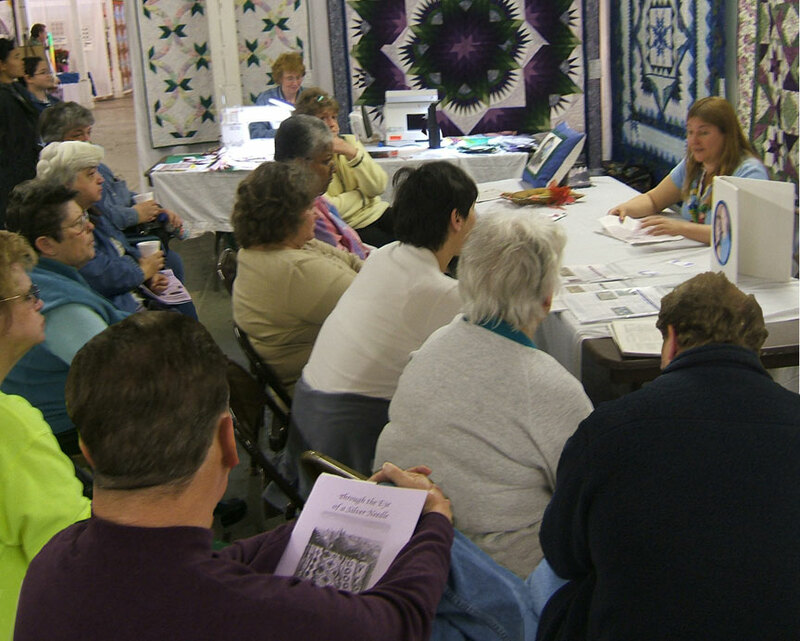 Fabric sheets are furnished for your future use, and many informational handouts are included in the class. 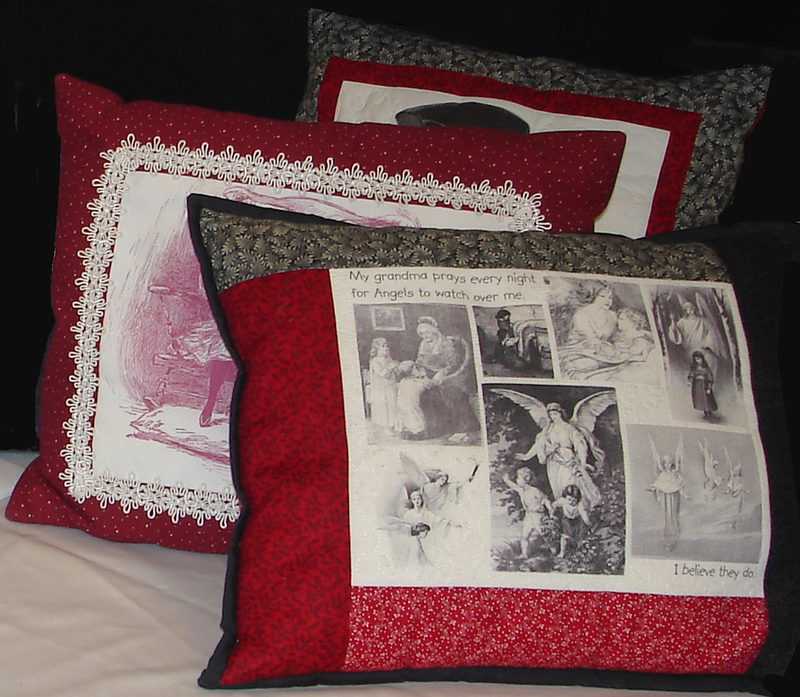 I now feel confident with printing on fabric and can do the projects I have been planning for a while. I liked that we did different projects in class and it was interactive hands-on. I would like to take a course from Val on Photoshop Elements for creative projects. Class Evaluation Form Comments: Handouts were absolutely, positively terrific! Even though I am a meticulous notetaker, the class was so much less stressful because Val's handouts showed years of research. . . This is the best teacher I have ever had here. Bring her back! . . Instructor very knowledgable. . . Fun class. . . Great teacher! . . The outline and notes were very good. . . Val's handouts were excellent! . . Great class, would have liked less students in class. We'll cover the basics of Photoshop Elements including the tools of Photoshop and what they do. And you'll get an introduction to layers and channels. If you have a laptop computer with Photoshop Elements installed, feel free to bring it to the class. The instructor uses a Mac, but both PC and Mac users will benefit as Photoshop Elements works very similar on both platforms. Handout materials will be provided so class participants won't have to take many notes. I'll show you how to design a montage (even adding some text with your photos), create a vignette (soft edges around your pictures), add a touch of color to a black & white photo, create a duotone from a black & white photo, add a rainbow to the background of a black & white photo and more - all before printing them (on fabric, art canvas or other medium). You'll also learn how to create a little piece of fabric you need/want to complete a project (that may no longer be available), create a complementary pillow to go with your unique fabric sofa or tie your colors together, get the look of lace, beads, angelina and more printed right onto a piece of fabric and other fun things you can do with this awesome program. You must have completed Introduction to Photoshop Elements or be somewhat familiar with the tools and basics in Photoshop Elements to benefit from this class as we will be moving quickly through a lot of material. Class Evaluation Form Comments: I really appreciate your comprehensive handouts, and I love getting all of this good information. . . I'm very new to computers, and this class opened a lot of doors for me. . . Loved the handouts! . . This was great. Please have Valerie back to teach an advanced class on Elements. . . I learned a lot! I now feel comfortable using this program. Val knows Photoshop intimately, content was all very good. Very good follow-up committed. . . I got a lot out of this class. Thank you! . . Materials were great. Thank you! . . I learned some new things and the handouts were great! . . Great ideas and useful info. . . Very good for basic class. . . Loved Val's enthusiasm. Needs to be a longer class. Learn how to restore your old family photos from an experienced art restorationist. We'll cover everything from lightening, darkening and removing red eyes from photos to repairing scratches and tears, fading and stain removal. Learn how the various tools in Photoshop Elements work and which tools work best for which tasks. If you have a laptop computer with Photoshop Elements installed, feel free to bring it to the class. The instructor uses a Mac, but both PC and Mac users will benefit as Photoshop Elements works very similar on both platforms. Handout materials will be provided so class participants won't have to take many notes. Class Evaluation Form Comments: The best thing about this class was the small size and knowledgeable instructor. . . I want to thank you for the dynamic and stimulating workshop today. . . I enjoyed learning all the possibilities with printing on fabric. . . Loved the class and would like to take an advanced class on the same subject. . . I raved about your class to my book arts group today. They were enthralled. . . Hi Val, I was in your BCC class (which was fantastic, by the way). I am looking at a wide format printer and would like to know how this ink works with your fabric sheets. . . Thanks for your time, and thanks again for your workshop. If you ever want testimonials, please let me know. . . A very fun Saturday morning. Val has a good knowledge of silk dyeing and methods. I enjoyed having the freedom to experiment and express myself. . . 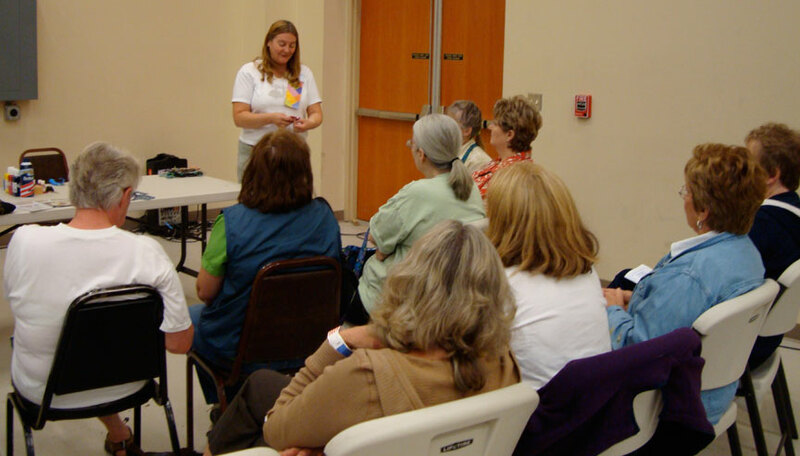 The instructor is very personable and knowledgeable about her subject. I learned about dyes and what materials you can use them on. . . I enjoyed this class very much. The possibilities for different projects using the dyes is exciting.